Toyota’s Canadian brass probably didn’t think that the RAV4 would one day become so popular. Popular enough even to push the Corolla of its sales pedestal. When Toyota’s compact utility first appeared in 1994, it was hailed for its originality and congratulated for snubbing those heavy 4x4s that were useless in the city and all designed, it seemed, from the same bland mold. Although Toyota didn’t invent the compact SUV (Suzuki and its Sidekick can be credited for that) Toyota exploited to a tee a growing trend towards SUVs that were more comfortable than rugged and looking to conquer the city and shopping mall speed bumps, not the forest. As long as it could handle snowy and slushy roads with ease, it’s target demographic was happy. 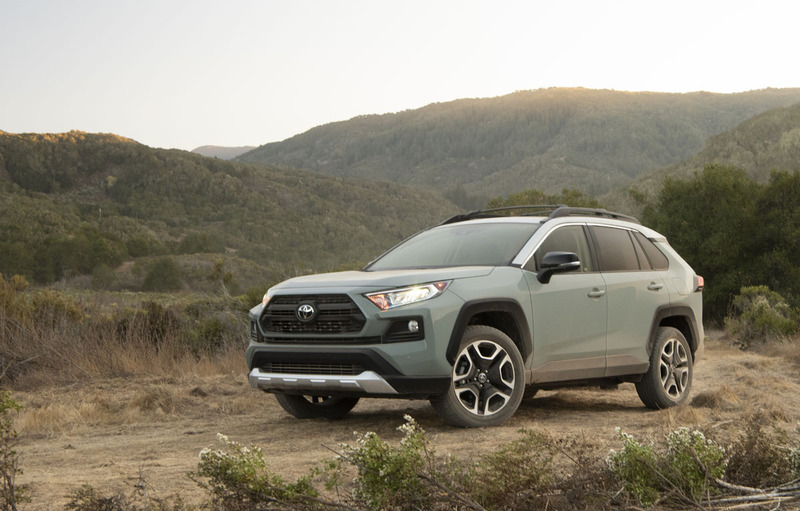 The success of the RAV4 (for Recreational Active Vehicle) ended up giving ideas to the competition, and the rest is history. 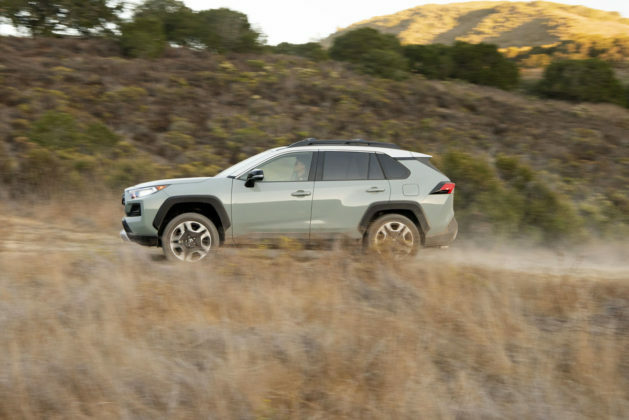 The compact SUV segment is now the largest in the industry and its popularity is ever growing. 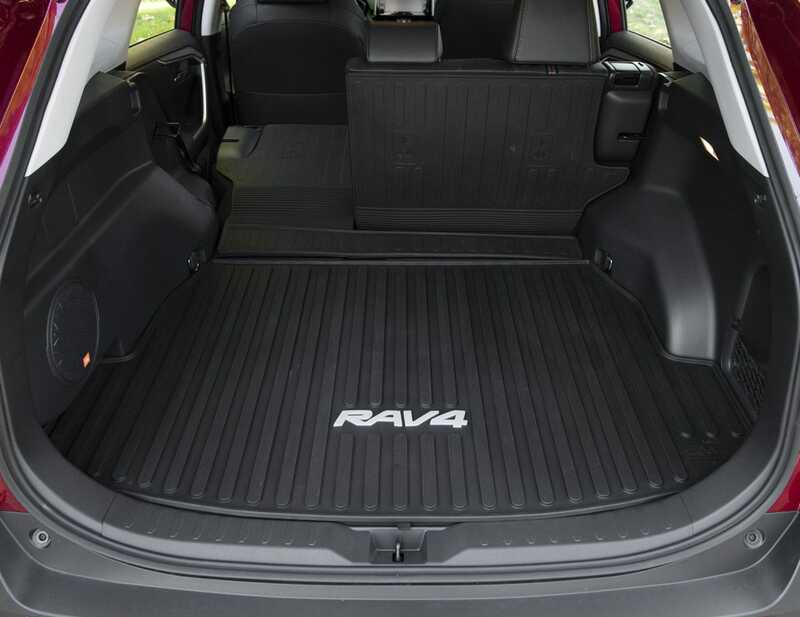 The Toyota RAV4 is a key player in the segment and one of its best-selling models. In order to keep its rank, a new model was needed, thus this fifth generation. 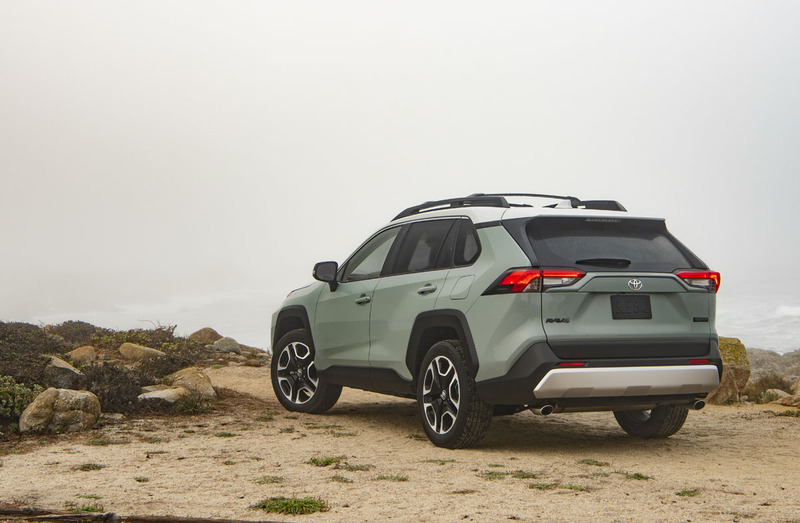 To the eye, the most obvious change concerns the RAV4’s side line, which is inspired rather openly by the Jeep Cherokee from the side panels to the tailgate.Everything is more proportionate, the assembly of the body parts is impeccable, and the overall look is, well, manlier. 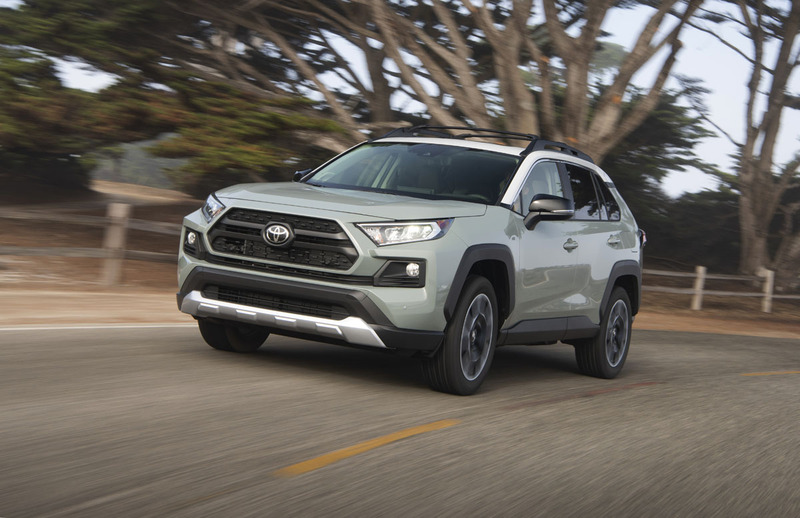 The new RAV4 keeps going with imposing lateral bulges, an underlined beltline, tapered headlights rising along the wings and a more expressive rear end. A little exaggerated and excessive, the design is less personal than that of the first generation, but it captures the spirit of the times. There are nine total versions of the RAV4 priced from $ 27 990 to $ 40 690 in Canada, and $25,500 to $35,700 in the U.S. As for the RAV4 Hybrid, it will be offered but we will know more about that model next spring. XE and XLE models get 17-inch wheels, but 19-inchers are available which is unusual for a Toyota product. An increased glass surfaced was designed to improve visibility and the overall footprint grows by a few millimeters. Back to visibility, the exterior mirrors have been repositioned and a central rearview mirror with digital display, a first for the brand, is available. 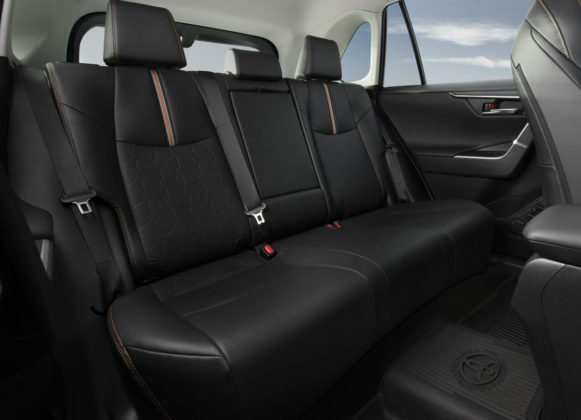 The gain in size has mainly led to a 30.4-mm increase in the wheelbase which in turn means more interior space. You will notice the extra interior space, but you may still be left wanting. No issues up front, but it’s a little tight in the back. The trunk gains (a bit) in volume and features the traditional possibility of folding the rear seat along a 40/60 split. Inside, the presentation is clean but there is room for improvement. 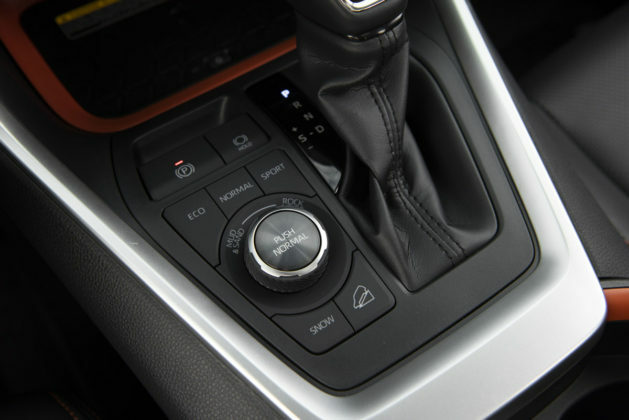 Pleasing to the eye, the dashboard is better structured and built using quality materials. 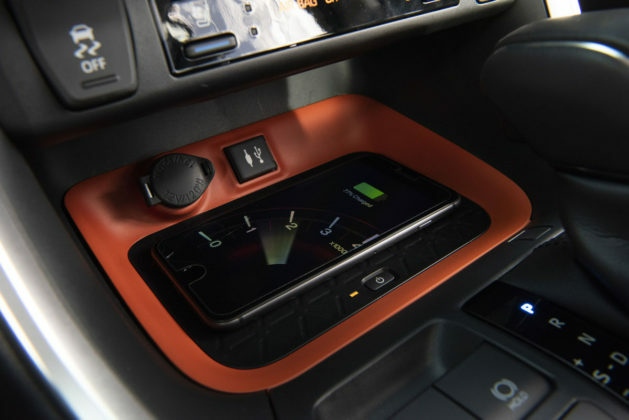 The 7.0-inch touchscreen tablet where information is displayed, however, makes no effort to integrate harmoniously with the rest of the elements on the dashboard. Despite some restrictions imposed by Toyota, the infotainment system works well with Apple CarPlay users. You can forget Android Auto, however. It’s not currently available. 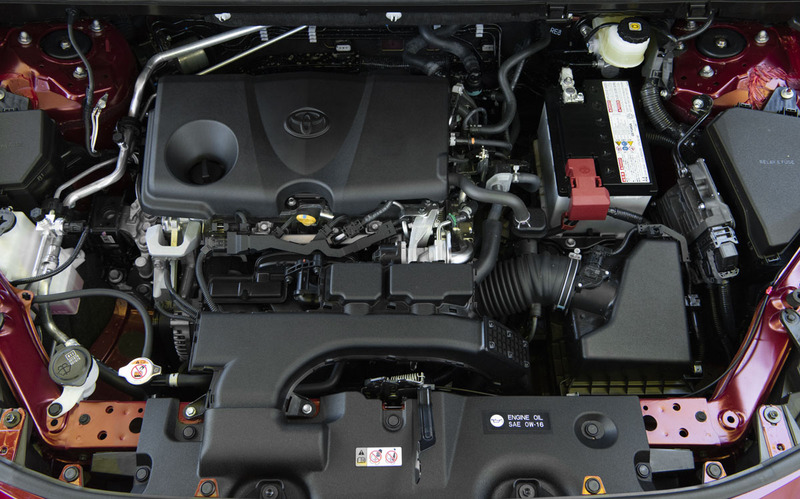 Under the hood, the cubic capacity remains the same (2.5 liters), but the power increases from 176 to 203 horses. Those ponies are transferred to the front or all-four wheels via an 8-speed automatic transmission (it used to have 6). 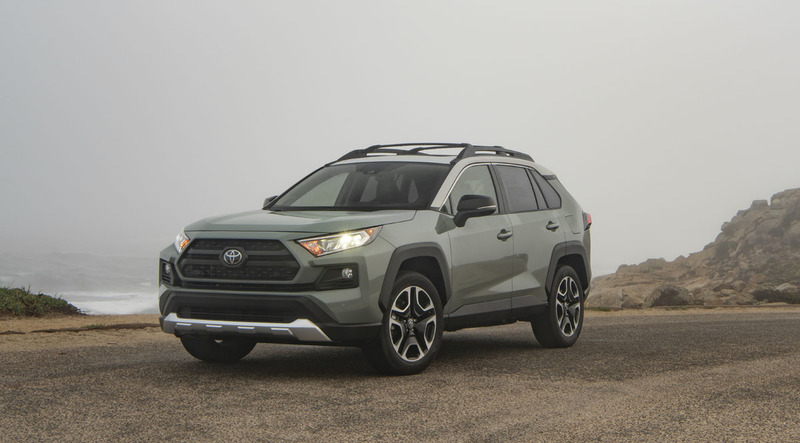 Not surprisingly, the RAV4 is based on the Toyota New Global Architecture (code name TNGA) on which all the latest creations of the brand are built. It’s hasn’t changed radically, but the RAV4 is certainly more pleasant to drive. The Mazda CX-5 needn’t worry, but the RAV4 is more dynamic while also being quitter and more comfortable. 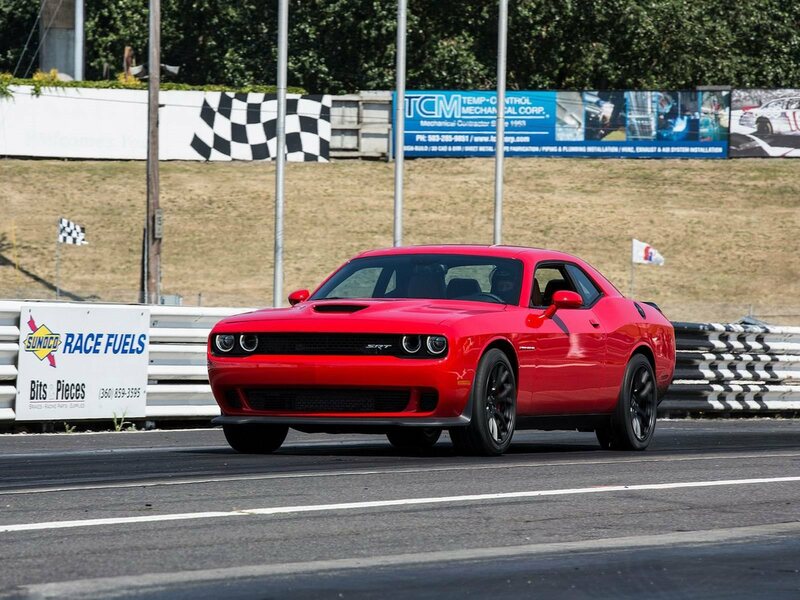 The suspension is on par with many sedans and allows the driver to a decent turn without pitch, roll, or untimely body movements. In the city, the RAV4 is agile and lively enough to be enjoyable as well. The only reservations I had concern the sound of the engine at full speed and the presence of a slight power dip below 2,500 RPM. This doesn’t seem to bother Toyota which intends to make the hybrid version of the RAV4 its main spearhead on the one hand. 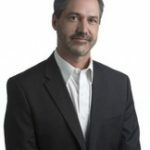 On the other hand, in its gasoline version, the RAV4 will be able to take advantage of its high residual value, its richer catalog of accessories and its limited (technical) risk-taking to remain a logical choice. Next articleBaby Ford Bronco To Be Named Puma?